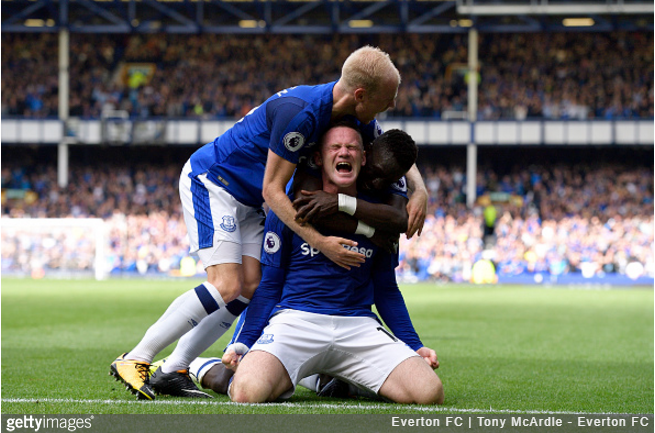 Just as the prophecy foretold, Wayne Rooney scored the winning goal on his second debut for his boyhood club as Everton narrowly pipped Stoke City. Rooney’s header proved to be the only goal of the game as the Toffees held on to see off the Potters at Goodison. It was also the ex-Manchester United striker’s 199th Premier League goal in total, leaving him one shy of his double century. Not bad for a duffer. Wayne is so excited at scoring he appears to have an erection.